Everywhere in the city, signs of seasonal change have appeared. 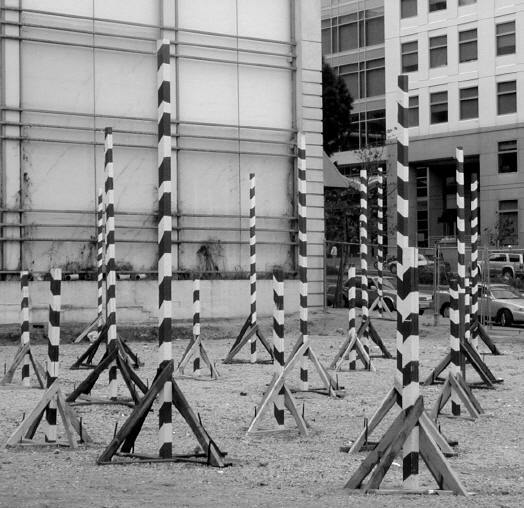 On the corner of Geary and Divisadero, a Delancey Street lot has stood ready for weeks, its brightly painted poles poised like sentries, awaiting the arrival of this year’s Christmas trees. Shops have sprouted holiday decorations, hoping to draw customers with full pockets inside. On Fillmore, jugglers and other street performers are rehearsing, preparing for three successive weekends of street festivities. And in the Civic Center Big Top, the supes are moving past one election and preparing for the next. The December run-off for city attorney seems almost an afterthought as they knead the dough for the next batch of city charter changes. Like the sentiment that surrounds the solstice and its accompanying secular-religious celebrations, the supes’ concern is admirable. Elected as reformers, they intend to reform, building on the foundation they laid earlier this month. But there is a danger that their efforts will flop, as the public power ordinances did, in the face of well-subsidized opposition. A variety of reasons for the loss have been advanced — the turnout was too low; voters were preoccupied with world events; the critics flooded mailboxes and airwaves with prophecies of doom. But it’s also true that the proponents of F and I didn’t make their case very well. Granted, the proposals were complicated. But San Franciscans aren’t stupid, and they like to know what they’re voting for. Or they’ll say no. In an effort to forestall future fiascos, the Call is beginning — on this very page — a discussion of the candidates and the issues that voters will face in March. We hope, over the next three months, to make clear why the items appearing on the ballot are so important that no voter with an ounce of sanity would stay away from the polls. Or at least, if voters opt for abstinence, they will understand fully what their absence means for the city’s future. Perhaps it’s time to usher in a new city motto: Caveat elector.